"I know what would cheer up these carvings. Cheese!" 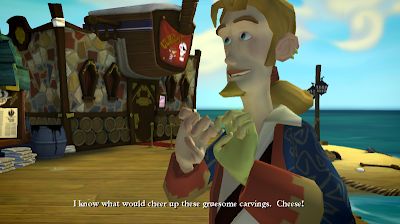 Guybrush excitedly exclaims "Cheese!" and puts his hands under his chin with his fingers curled just like Wallace from Wallace & Gromit.